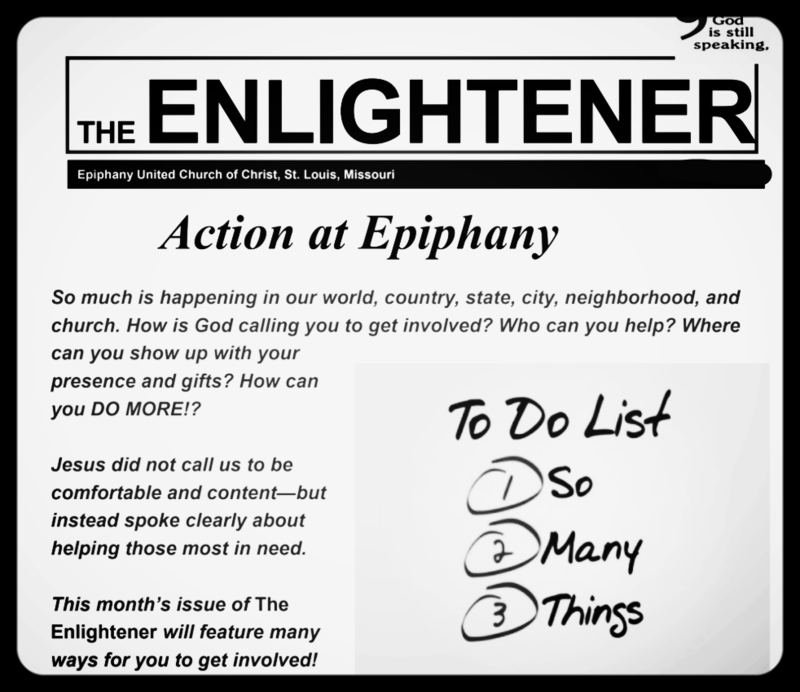 Epiphany hosts neighborhood meetings and discussions that vary from the Benton Park Neighborhood Association to local nonprofits to the Girl Scouts to legal observer training. Our facilities are available for use by community groups for events or meetings that match Epiphany’s ministry and mission or that enhance community life in Benton Park and do not conflict with Epiphany’s ministry. The council will be consulted for permission in the case of very large events or those that are not a clear mission match, including those with special potential for congregational controversy. Contact us for more information!